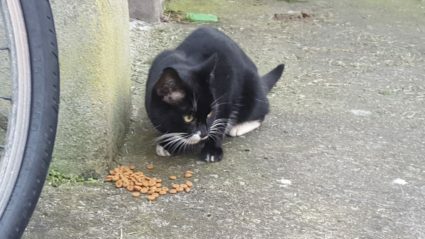 Black Cat Found In January in Blackpitts, Dublin 8. 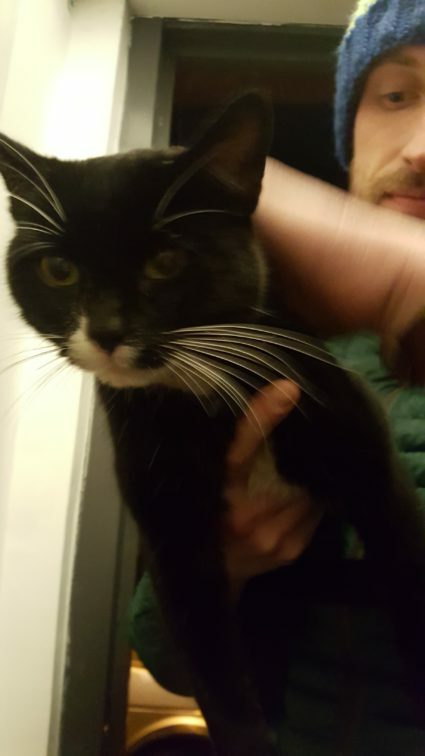 I found a stray black cat with a white chin is Blackpitts, Dublin 8. He is a neutered male, very, very friendly but not micro chipped. He is small and quite underweight. If you think you know this cat please get in touch.